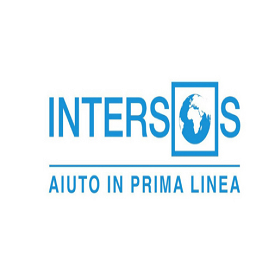 INTERSOS is present in South Sudan since 2006, starting its operations in the country from Bor, Jonglei State. INTERSOS central office for South Sudan is based in Juba and had several field bases in Jonglei State (Bor, Ayod, Nyirol, Uror, Akobo and Pibor), 1 in Western Equatoria (Yambio), 1 in Upper Nile State (Malakal), 1 in Unity State (Bentiu). After 2013 conflict, as field bases, INTERSOS started to operate within UNMISS PoCs in Juba, Bor, Bentiu and Malakal. In September 2014, however, INTERSOS has moved out from UNMISS base in Bor and has its own compound in town shared with other two INGOs. In the framework of the present crisis INTERSOS has immediately intervened in Juba, UN House and Tongping, in NFI and Protection sectors. The operation has been extended also to the PoCs of Bor, Malakal and Bentiu with activities in the field of Protection, both GBV and CP, Education, NFIs/Shelter and WASH.
Intersos is going to extend its humanitarian response in South Sudan to the Nutrition and the Primary Health sectors. The general purpose of the post is to represent INTERSOS in SouthSudan with all relevant actors and in the main fora, supervise and coordinate the general implementation of INTERSOS programs in the country and act in accordance with specific directions from and supervision of the Regional Director. Proactively participate in relevant coordination meetings. Manage the safety and security of the operation in the country. University degree in Social Sciences, Political Silence, International Relations, Humanitarian and International Cooperation or related fields. Ability to work in insecure remote contexts and to adapt to basic living conditions in remote/isolated areas. In case you encounter difficulties applying through INTERSOS’ platform, you can also apply by sending your CV, motivation letter and 2 references via email to [email protected], with subject line:“SR-41-920 – Head of Mission – South Sudan”.